Watching a good game of tennis can be one of the most enjoyable ways to make money trading on Betfair, for a tennis fan anyway! 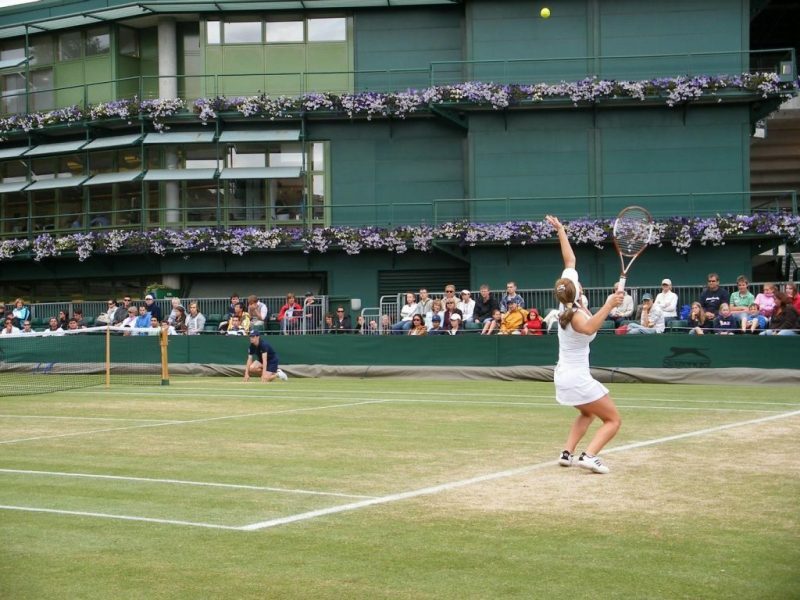 Tennis trading on Betfair is another popular and proven way to take regular profits from the sports markets. There are various specific strategies as you would expect, some of them are extremely simple while some take a bit more learning and practice. Beware of just watching some of the many Youtube videos showing people trading tennis, it isn’t quite as simple as some of these videos make it seem. You absolutely must do your stats, I use this site. You also need to do plenty of preparatory analysis and various news checks to make sure a player has no injuries which aren’t reported until shortly before the match, and any other due diligence you would expect to have to make in any serious business. Anyone can sit and watch a game of tennis, spot that someone like Federer has had his serve broken, and is extremely likely to break straight back, and then make some green out of such an opportunity. However this is more like value betting or intelligent gambling, and typically this is the hardest approach to master. This should definitely not be tried until you have mastered some much simpler, much more disciplined and planned strategies where you do your research before a game begins, and then you do exactly, EXACTLY what you planned to do for that game. It is so easy to be swayed by what you are watching that discipline is a constant battle for most people trying to trade tennis matches for the first time. You need to resist being swayed by commentary or other things, so I would advise trading without commentary if it’s leading you astray and making you ignore the research you did earlier. Stats are much more important than the opinion of one man or woman with a microphone! In this way, you will get a more “sterile” view of what’s going on. For most trades all I want is the scorelines and as FEW opinions in my ears as possible. The only opinion needed is mine, and that’s based on hard evidence such as player stats, serving stats, first serves in, recent form and so on. Anything else only runs the risk of distracting you from your trading PLAN, and the plan is the only thing which sets apart the gamblers from the traders. This took me years to learn, so read this paragraph again to make sure it sunk in! I have been meaning to publish my methods for years, but to be honest they are not exclusive to me and there are more dedicated tennis traders out there who produce better stuff than I probably could when it comes to tennis trading. I also don’t trade tennis as much as I used to, partly due to trading horse racing a lot more, and partly due to enjoying tennis too much to trade it rather than just sit back and enjoy it most of the time! Quite a few of my readers have asked for my recommendations of tennis strategies and products. There certainly has been some junk lying around the web over recent years! However, the one person I would recommend without hesitation is Paul who created at TradesharkTennis. He also has an informative blog at blog.tradesharktennis.com. He has been trading tennis (properly!) for around a decade, he knows how its done and he shares a huge amount of info for very little money. I have heard nothing but good things about his info from friends of mine who are more into tennis than I am, and I trust the word of those people.